New York Gov. Andrew Cuomo on Thursday morning announced that business services company LiveTiles will open an office in Rochester’s High Falls area, and will create 500 jobs over five years. The Australian company, which is headquartered in New York City, provides an array of business communications and assistance services. The news was shared at a mid-morning news conference inside the company’s future building on Commercial Street. LiveTiles co-founder and chief executive officer Karl Redenbach said it was the region’s talented people, standard of research in connection with local universities, vibe of the High Falls area and redevelopment of downtown that secured the company’s decision to create an Innovation and Experience Hub in Rochester. In a worldwide search, he said, the company narrowed options down to five American cities because of its draws, Rochester came out on top. Redenbach, who jumped off the stage mid-speech to hug Greater Rochester Chamber of Commerce CEO Bob Duffy, said every time he comes to the Rochester region, he questions why he instead lives in Manhattan. That’s why Rochester has such impressive universities with students and faculty who look to the future. 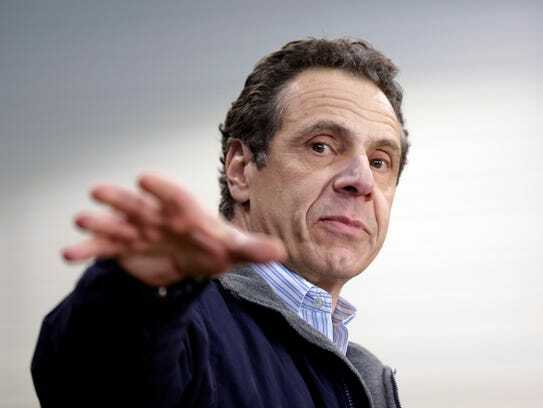 Cuomo said in the past decade, the state better started investing in upstate New York to turn around the state’s economy outside the New York City region. Cuomo was in Rochester in February when he committed $50 million in state aid to revitalize the Genesee River corridor — jump-starting an expansive vision that includes everything from the Broad Street aqueduct to High Falls. That announcement was made a a news conference at the Joseph A. Floreano Rochester Riverside Convention Center downtown.